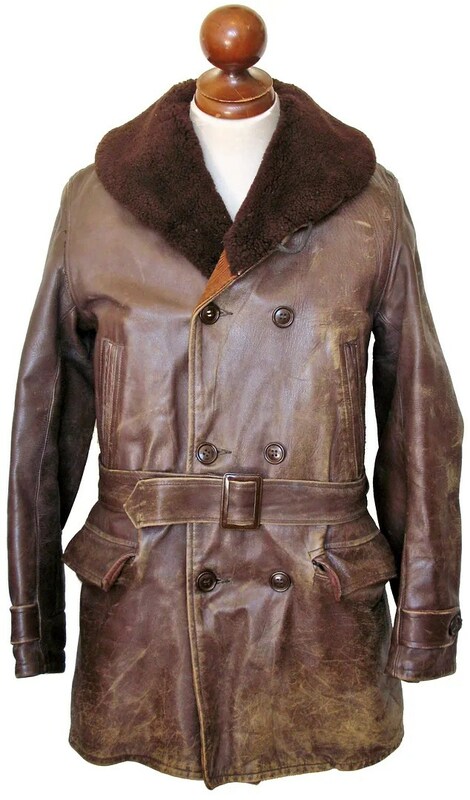 This vintage coat was made in the 1930s and was sold in Boston by Lampelt sportswear, a manufacturer or sheeplined leather coats such as this and of grizzly jackets. 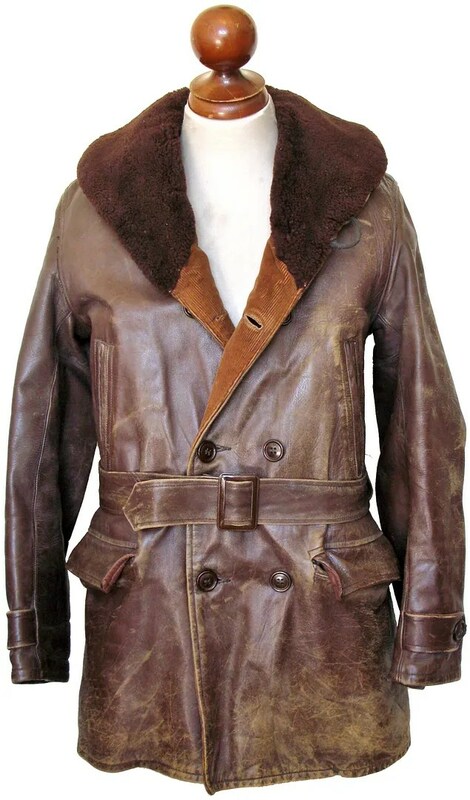 The coat is made of horsehide leather, is double breasted, with a broad sheepskin shawl collar, handwarmer pockets, flapped cargo pockets and a belt. 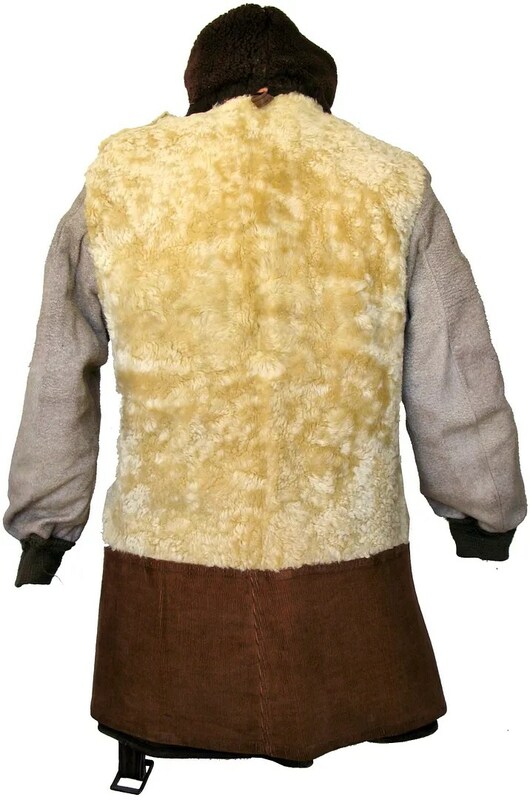 The back has a square cut yoke. There are button adjuster tabs on the sleeves. 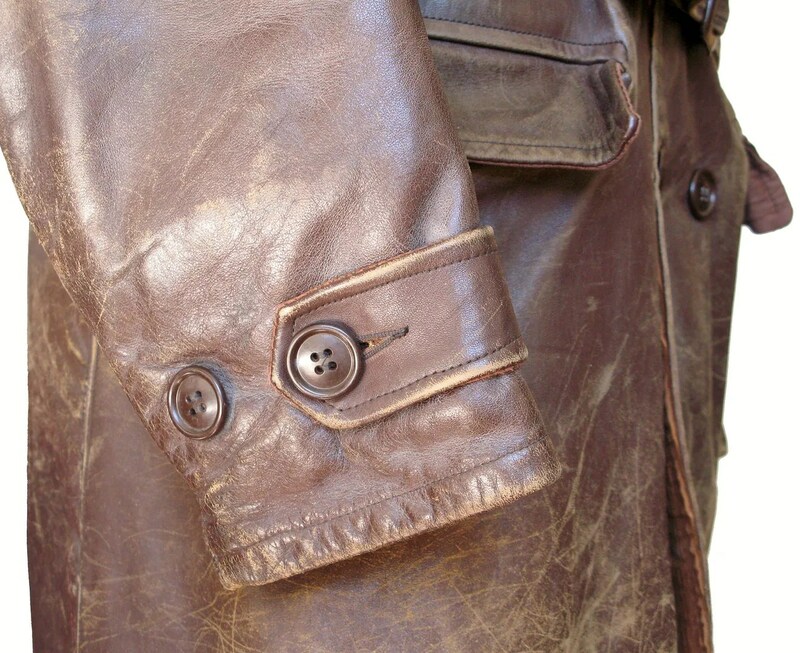 Inside, the jacket has a sheepskin lining, with blanket lined sleeves and brown corduroy trim. 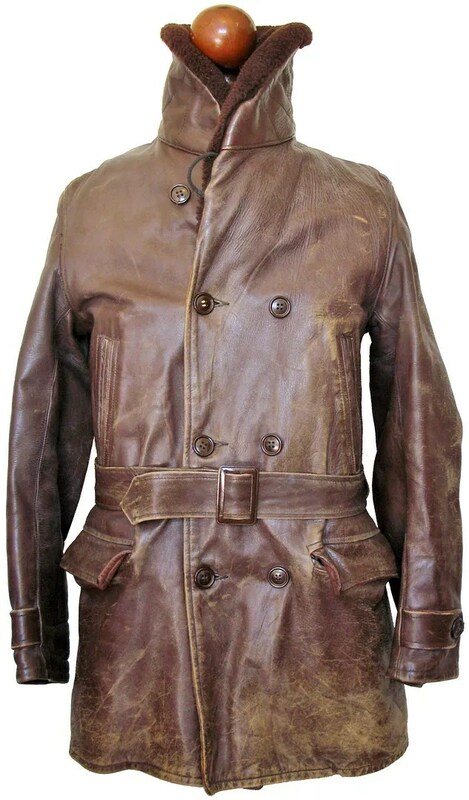 These coats were popular pre-war with motorcycle riders and as workwear in the fall and winter. 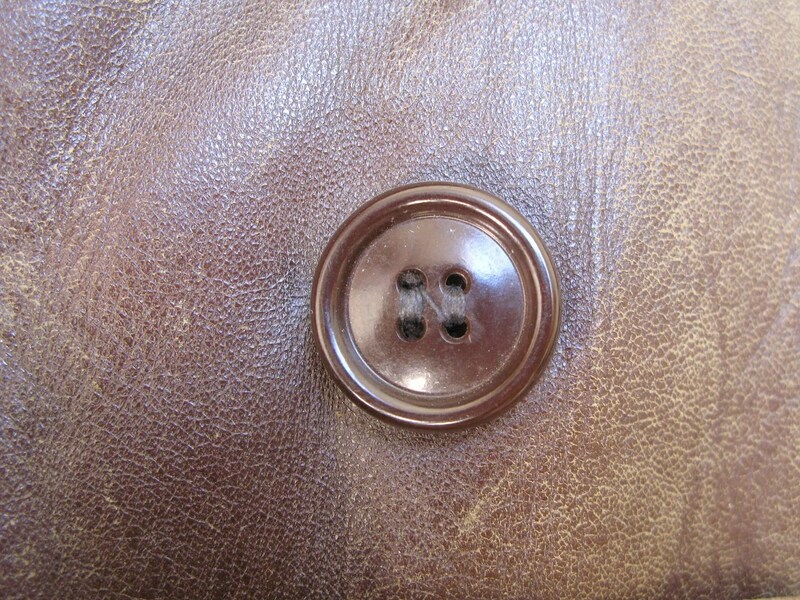 The leather is nicely supple on this example. 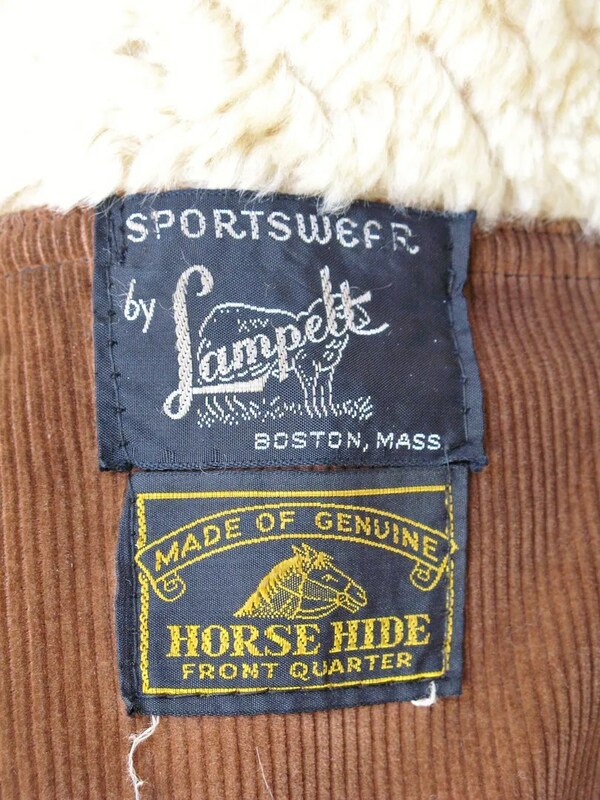 This entry was posted in Coats, Jackets, Leather and tagged 1920s, 1930s, barnstormer, belted, boston, clothing, double breasted, fashion, front quarter horsehide, Lampelt, mens, motorcycle, mouton collar, sheeplined, style, vintage by Spencer Stewart. Bookmark the permalink. 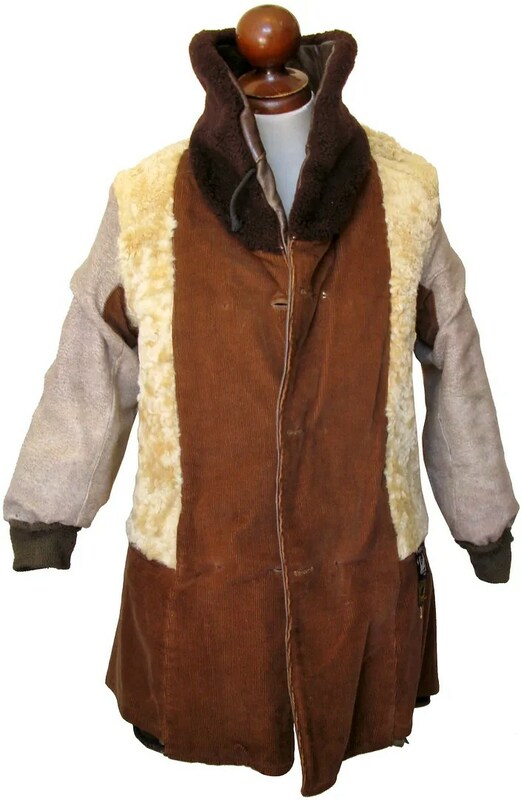 We have one of these coats. 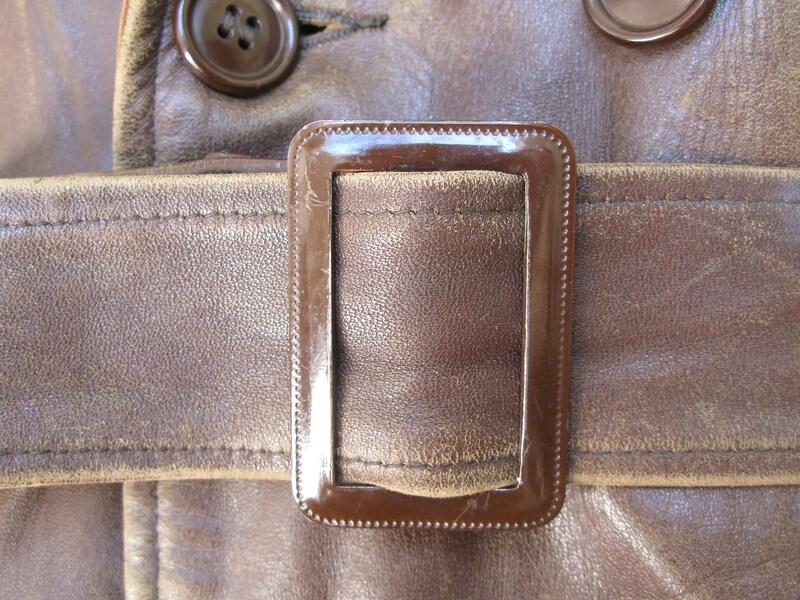 It is missing the belt and a few buttons. 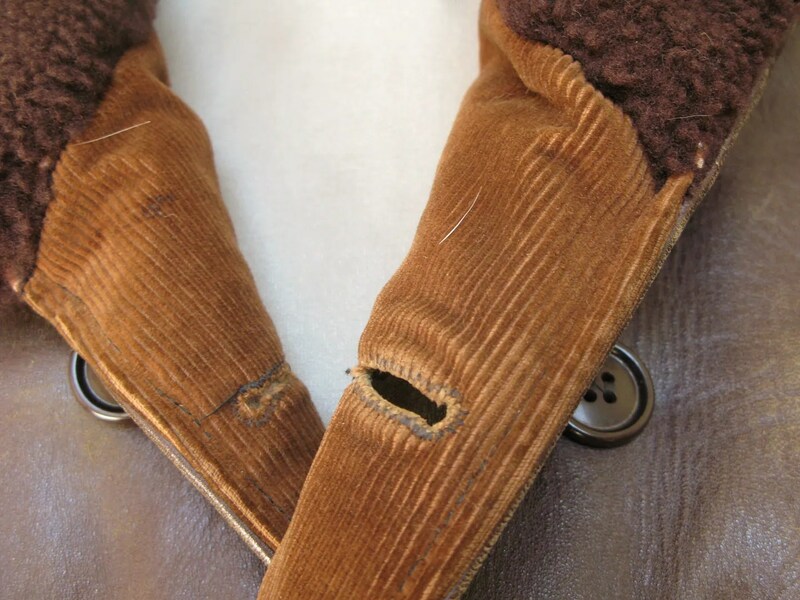 The sheered lining is worn. 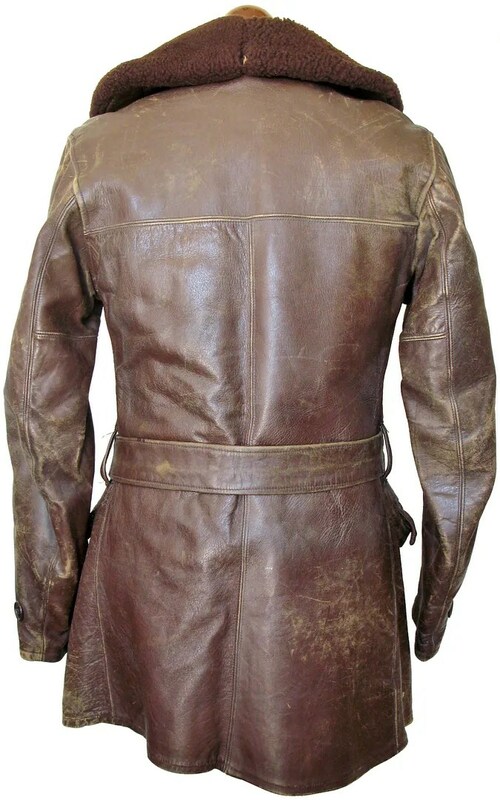 What is the value – who would be interested in this awesome coat?